Jacob Bowman, a 15 year old Peterborough high school student, is in Regina, Saskatchewan this week at the Canada Wide Science Fair (CWSF), presenting his research on the brook trout in Harper Creek. 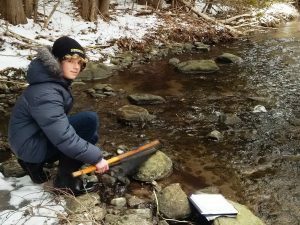 He qualified for the trip by winning the Peterborough Regional Science Fair last month. 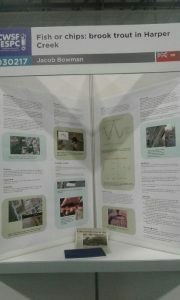 Jacob’s project is called “Fish or chips? Brook trout in Harper Creek”. 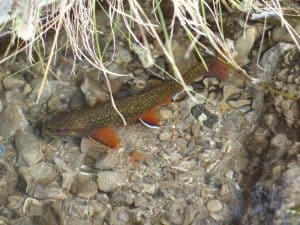 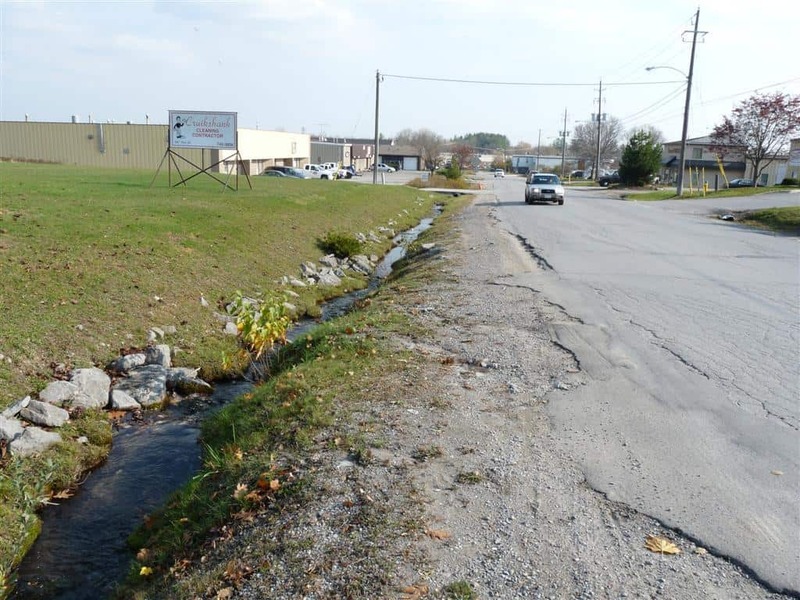 He has shown that the northern tributary of the creek, which runs along Rye St., has the highest quality trout habitat in the Harper Creek system. This is also the section that will be most affected by expansion of Rye St. 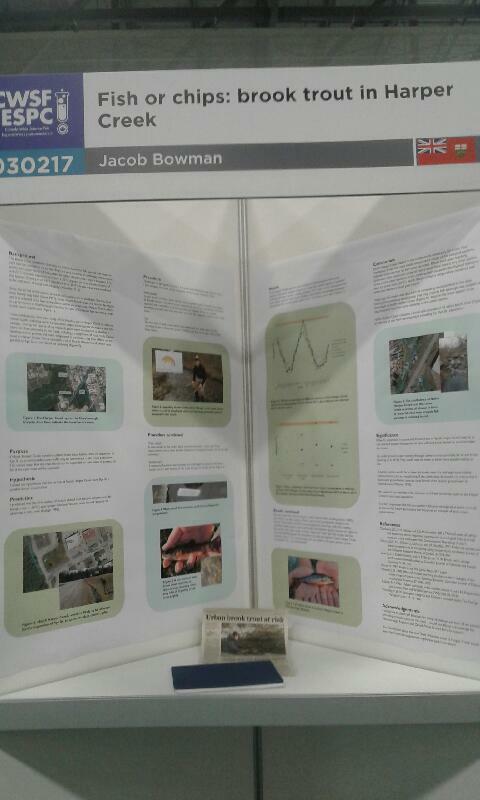 The photo below shows Jacob’s CWSF presentation materials, including: a 5-page report on his research, his display poster, and a photograph of the material on display in Regina.